Download images in HD formats from NASA’s Scientific Visualization Studio. On July 11, 2018, the spacecraft was lifted and mated to the third stage rocket motor, a Star 48BV from Northrop Grumman. 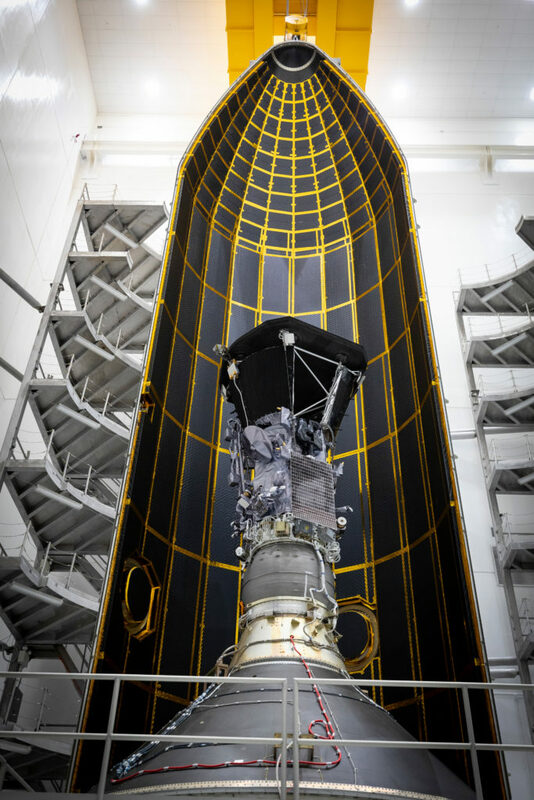 In addition to using the largest operational launch vehicle, the Delta IV Heavy, Parker Solar Probe will use a third stage rocket to gain the speed needed to reach the Sun, which takes 55 times more energy than reaching Mars. 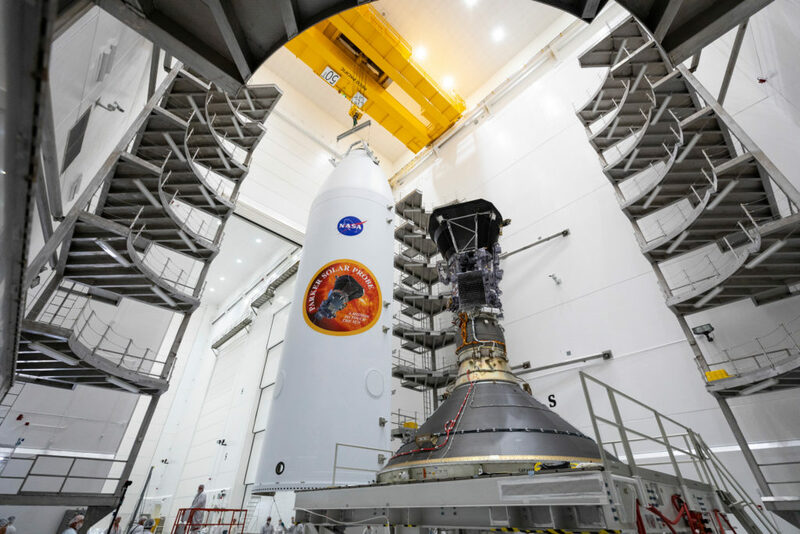 On July 16, the spacecraft was encapsulated within its 62.7-foot fairing in preparation for the move from Astrotech Space Operations in Titusville, Florida, to Space Launch Complex 37 on Cape Canaveral Air Force Station, where it will be integrated onto the Delta IV Heavy. 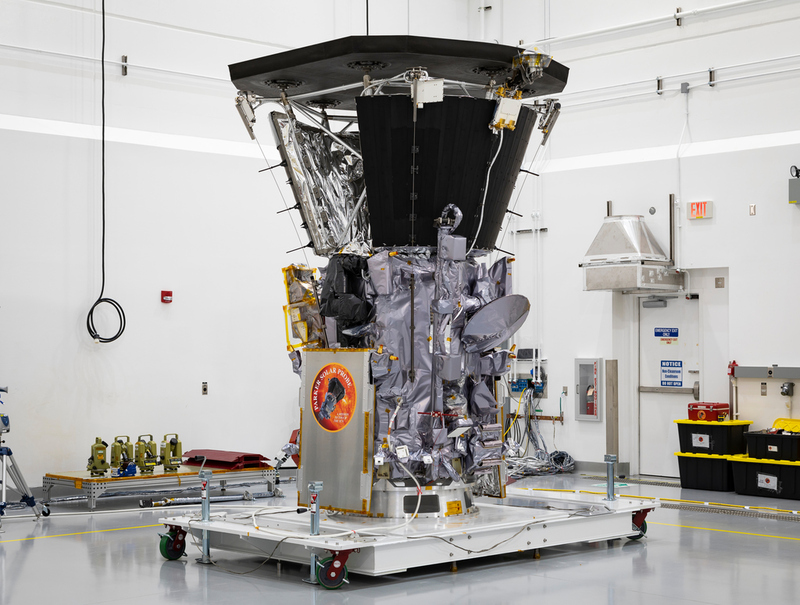 Parker Solar Probe’s launch is targeted for Aug. 11, 2018. The spacecraft will launch on a United Launch Alliance Delta IV Heavy rocket from Space Launch Complex 37 on Cape Canaveral Air Force Station in Florida. 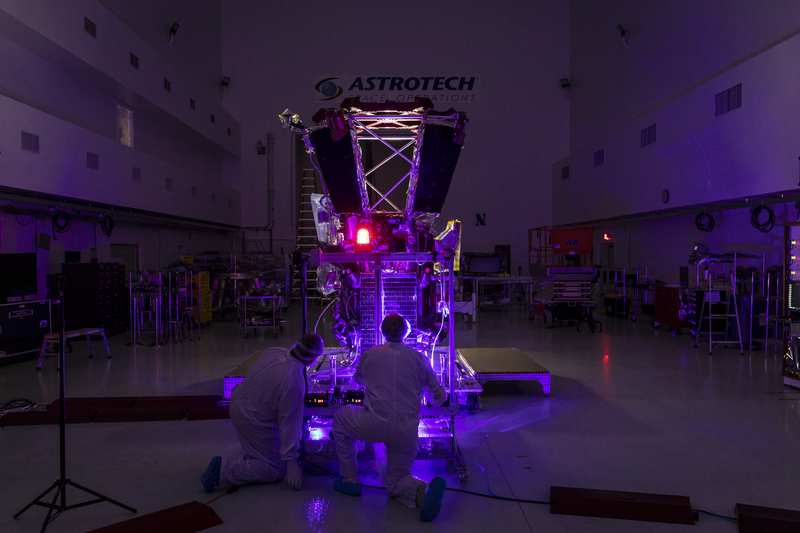 Teams require additional time for processing NASA’s Parker Solar Probe spacecraft after discovering a minor tubing leak in the ground support equipment during final processing. The tubing is being repaired, and the spacecraft is healthy. As always, operations take precedence during launch and we needed to cancel media day activities on July 13, 2018. 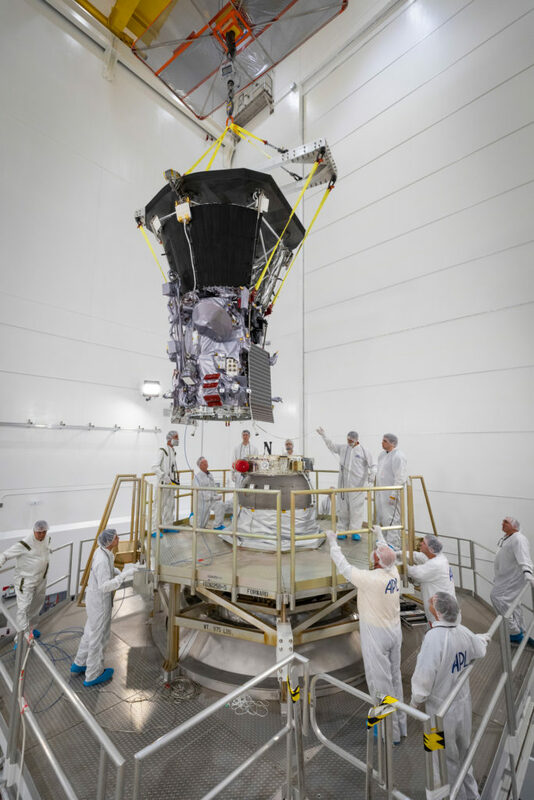 NASA will make every effort to provide updated imagery of the spacecraft prior to encapsulation. 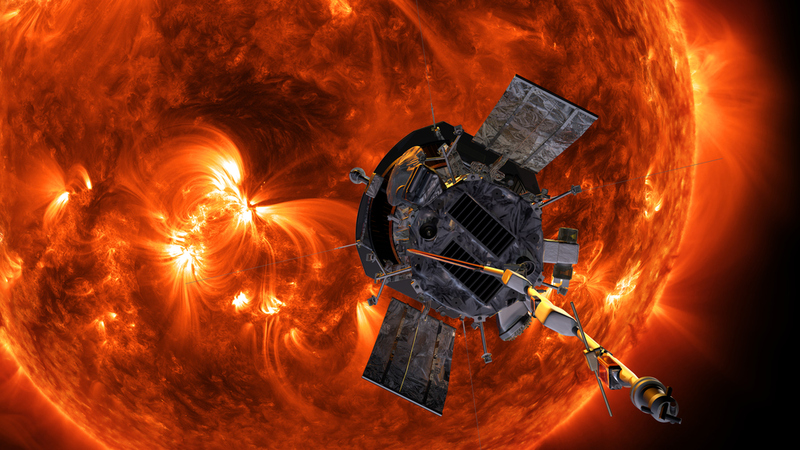 Parker Solar Probe is the agency’s mission to touch the Sun. It is scheduled to launch on a United Launch Alliance Delta IV Heavy no earlier than Aug. 4, 2018, from Space Launch Complex 37 on Cape Canaveral Air Force Station in Florida.